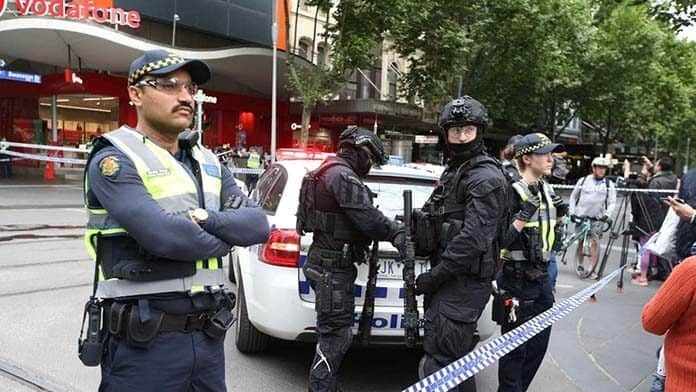 Scott Morrison and Peter Dutton seized on the Bourke Street attack in Melbourne to scapegoat the Muslim community and try to whip up a new terrorism scare. Morrison declared that, “The greatest threat to our way of life is radical, violent, extremist Islam”. He branded Bourke Street attacker Shire Ali a “violent, extremist Islamic terrorist”. Victoria police similarly treated the attack as a “terror incident”. But acting deputy commissioner for national security Ian McCartney explicitly said there was no evidence of “direct contact” between Shire Ali and Islamic State or other jihadist groups. Yet Scott Morrison, determined to whip up fear, dismissed accounts of his mental health problems as “excuses”, saying the “real issue” is “radical, violent, extremist Islam”. He also blamed the Muslim community for the attack, saying “more needs to happen” to deal with the threat and “there can be no excuses for looking [the other way]”. After a number of Muslim leaders refused to meet with him in protest, Morrison accused them of “continuing down a path of denial” and making communities “less safe”. The government then continued its scaremongering by announcing plans for yet another round of “anti-terror” laws. Dutton suddenly demanded parliament pass new encryption laws before the end of the year, saying it had become “more urgent” and scaremongering that police were in “a position of vulnerability”. After accusing Labor of failing to support the laws, and brushing aside privacy and digital security concerns, the Liberals eventually compromised. Then they chose to shut down parliament rather than face defeat over a bill on refugee medical transfers, choosing not to debate the compromise bill. So Labor capitulated to pass the unamended original bill in the Senate. The laws will force technology companies to help police break into messaging systems like Whatsapp and Facebook messenger. Dutton cited the arrest of three more people in Melbourne on terrorism charges following the Bourke St attack to insist they were necessary. Police claimed the use of encrypted messages made it harder to uncover their plans. But it’s far from clear this was a serious terrorism attempt. Police admit the three men did not yet have a target in mind. Their main piece of evidence is the claim they attempted to obtain a semi-automatic rifle. The father of two of the boys says they wouldn’t know how to use one. Scott Morrison also wants even more draconian powers to cancel citizenship. These are needed, according to Dutton, so that the government can deport “a number of cases” of people. The government can already strip Australian citizenship from dual citizens convicted of serious terrorism offences. The changes would lower the bar to any terrorism conviction, and mean the minister would only need to be “reasonably satisfied” they had another citizenship. More Islamophobia and further draconian laws will only make things worse. The terror laws undermine democratic rights and increase racism through harassment and targeting of Muslims. Scott Morrison has tried to blame terrorism simply on the “dangerous teachings and ideologies” of “radical extremist Islam”. But it is the experience of racism and social exclusion at home and the horrors of Western foreign policy in the Middle East that are the real drivers of “radicalisation”. It is a heartening sign that the Australian National Imams Council and other Muslim organisations have publicly challenged Morrison’s racist scapegoating. Another important response was the Stand United against Racism protest in Melbourne, which took place the day after the Bourke St attack in November. Around 500 marched to oppose the escalating anti-African racism in the lead up to the state election. The rally united The Greens, Labor supporters and contingents from a number of unions. Despite racism being pushed to fever pitch in the wake of the attack, the strength and unity of this kind of anti-racist mobilisation shows how it can be fought.